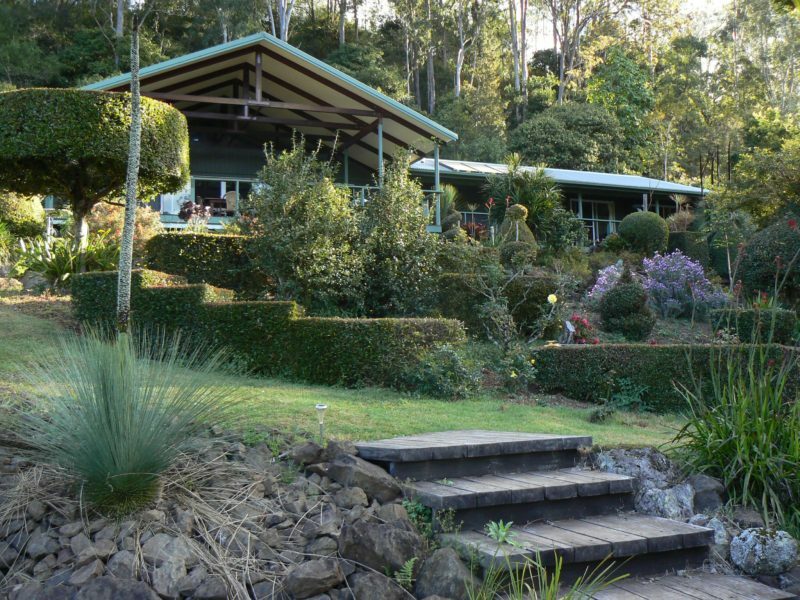 Cougal Park Bed and Breakfast at Cougal in the Border Ranges is set on 135.5 hectares of native forest, the greater part of which is a Conservation Area and has been operating since December 2001. 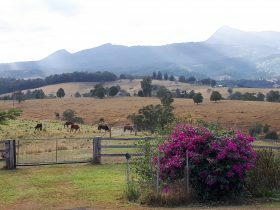 The World Heritage listed Border Ranges National Park is nearby, with walking tracks, lookouts, and beautiful picnic areas, where you can enjoy your picnic lunch. 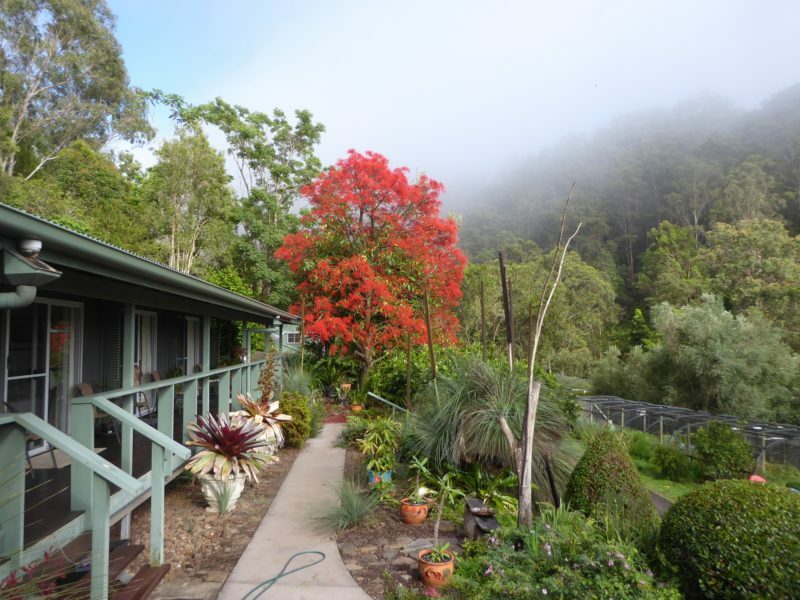 The property has many kilometres of well maintained tracks where you can walk and enjoy the forests, birdlife and animals including koalas, wallabies and reptiles. With comfortable beds. 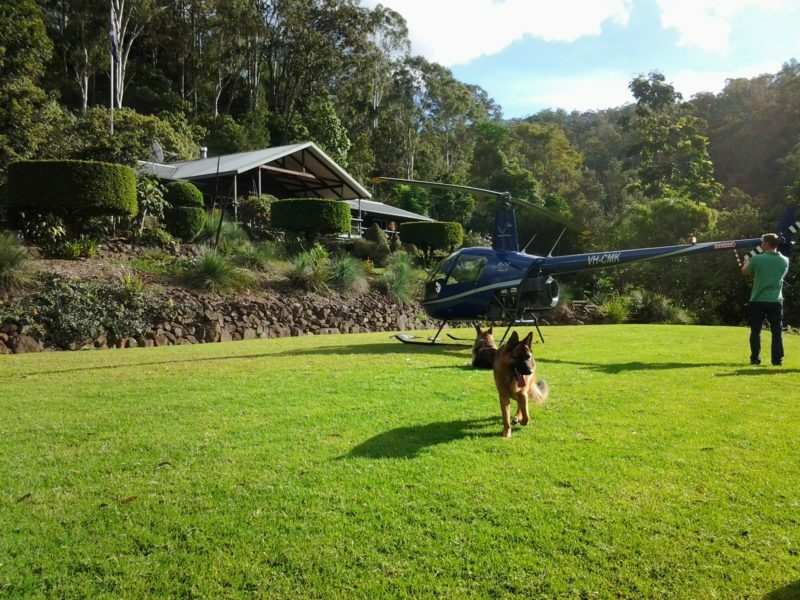 well appointed Suites, Good home-cooked meals and old fashioned hospitality, it is the perfect place to relax, de-stress, and get in touch with the natural environment. 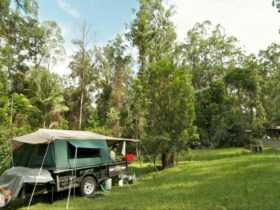 Cougal Park Bed and Breakfast is 35 kilometres north of Kyogle, on the Lions Road Tourist Drive, or, coming from the North, 6.4 kilometres south of the Queensland/NSW Border. The carpark is next to the house and there are no access steps. it has just been enlarged for easier parking. 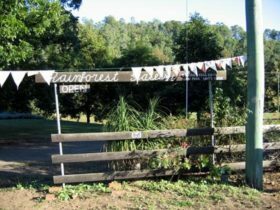 Bring a picnic lunch to enjoy up the mountain in the Gazebo, or ask them to prepare one for you. Cougal Park is also a totally no smoking environment. Suites face north to stunning views and open onto a communal veranda. 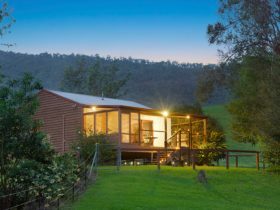 There are queen size beds, electric blankets, goose down doonas, selection of pillows, double thermal curtains, polished timber floors, wardrobe, desk, over bed lighting, table and chairs, heater for winter and a fan for summer. Bathroom is large, with open shower with adjustable shower, seat, grab bar, vanity, and toilet with grab bar and heated towel rail. Filtered drinking water provided. Tea and coffee are provided in the suites. Refrigerator is available in kitchen area. No television reception, however, DVD players are available on request. Rooms have excellent natural ventilation. Robes and slippers are provided. The same facilities as the queen suites, with two single beds. 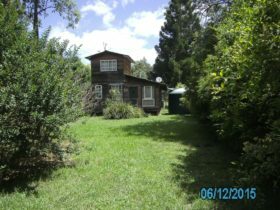 Large en suite with easy access shower, including grab rail. Grab rail by toilet. Tea and coffee making facilities in room. Robes and slippers provided. Breakfast is included in tariff. Family unit has one queen bed and two singles, bathroom and kitchenette. This is situated apart from the house at the other end of the car park. Access to a barbecue is available for those who wish to self cater. Kitchenette is equipped with crockery, cutlery, microwave and refrigerator. Bathroom has step up shower, vanity and toilet. 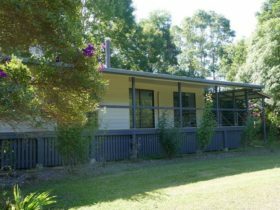 Accommodation for two people is AUD190 which includes a served breakfast. Single accommodation is from AUD145 including a served breakfast. Dinner is available by arrangement at approximately AUD50 per person. Lunch is available by arrangement. Stays of more than two nights are AUD180 per night.